There is a tiny time gap between the minute you are opening the garage door and the moment you are pressing the garage door clicker to close the door behind you that may be critical to your safety. Many homes all around the country have beautiful gardens and long driveways, but most of the times these areas are not properly protected. Remote controls have improved people's sense of safety, but it cannot erase completely the potential threats. Today, most openers lighten up the garage when they are activated, but the light is not sufficient to cover the whole wide area around it. Homeowners usually fear that someone will follow them inside the property as they are waiting for the garage door to open. The only way you can feel safer is have full visibility of the area with strong lights, which will also keep intruders away. You can also install special sensors, which can turn the lights on automatically, if they sense motion outside the garage, because you may have similar fears when you are exiting your premises in the dark. 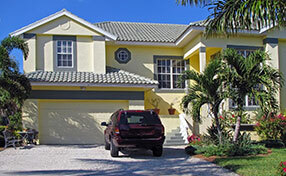 Some homeowners have the habit of entering their garage and start doing other things before they close the garage door. If you cannot fight your habits, you should at least get sensors that will activate the opener to close the door for you. 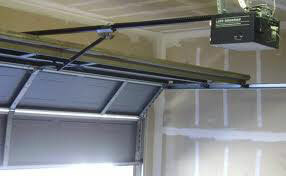 Perhaps it is time to benefit from the many advantages of electric garage door openers. You should get a modern garage opener remote, which work fast and have the rolling technology that won't allow the copying of the codes. It goes without saying that you must keep it close to you and in a safe place at all times and you must refrain from using it from a distance because you can never know who may enter your garage before you drive in, especially if your visibility is limited. Get a durable entry door of the latest technology and high security and make sure it is locked at all times. Hence, if someone manages to enter into your garage, he would have nowhere else to go.